While turning 27... Thanks for your birthday Wishes!!! I am eagerly excited to express my feelings on this very special 27th birthday of my life. 27...!!! Ufff!!! I can't believe that I have turned 27 today... Oye hello!! I am still single; Kya!!! Budha nahi ho gaya mai (I have not grown old...!!) Lol!! I had determined something after celebration of my 26th birthday... I remember, I had hoped that I would have got a permanent job.. Unfortunately I didn't get such a permanent job but I took a step towards this direction... 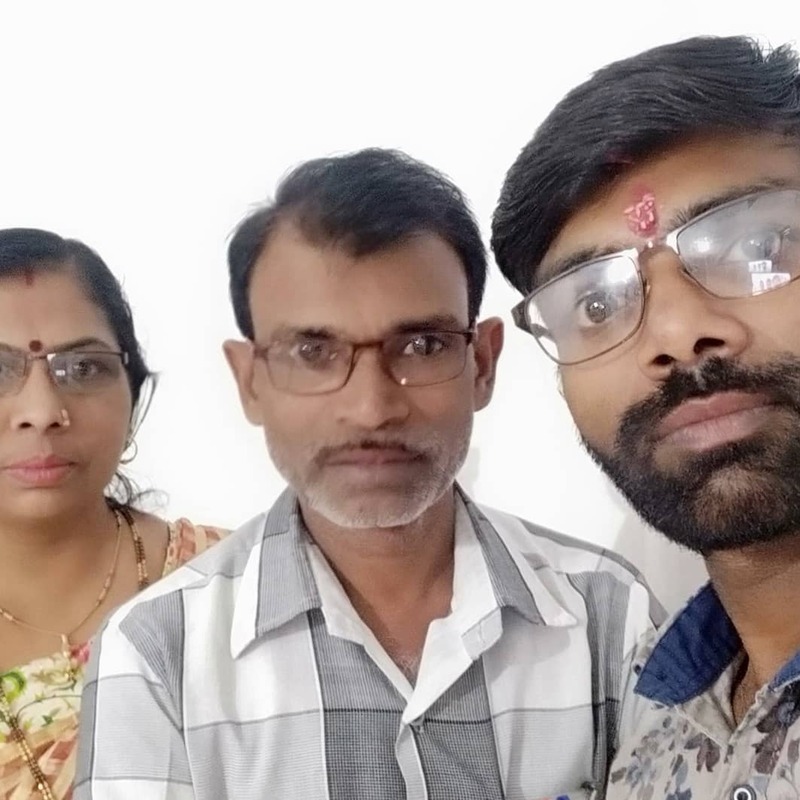 I appeared in a Madhyapradesh Madhyamik Shikshak Patrata Pariksha (MP Middle School Teachers Eligibility Test) and accumulated 117 out of 150 marks on 18th February 2019... I am a citizen of Maharashtra but I was eligible to appear in that exam and obtained quite good marks... 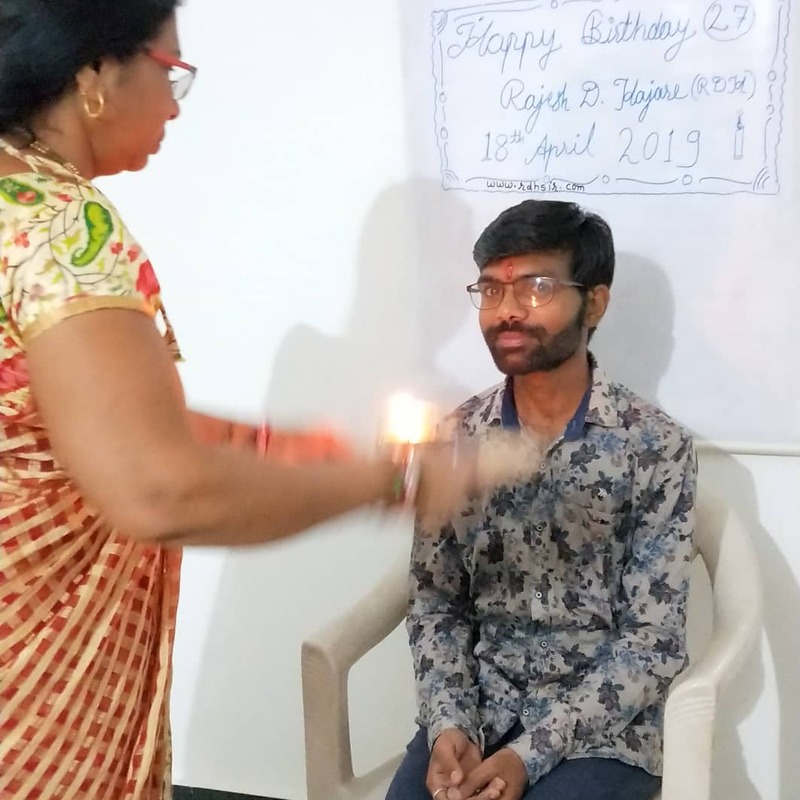 If all goes well, I am really hopeful to announce that I have got a permanent job in MP but again its just a hope..
Today, while celebrating my 27th birthday... I wish my thanks to the almighty for each and every day of my life in this beautiful world..! I wish to say my thanks to all of you for making my birthday special with your wishes.. I do post my birthday blogpost every year but I never ask you for my birthday gift. But this year I want you to give a birthday gift... No... I don't want any gift.. and may be you might have fulfilled my wish of that gift even before reading this blogpost... So what's my gift.. Hmmm.... Its 18th April 2019... What's today... A Thursday!! Correct but Thursday comes every week; what's so special today!! 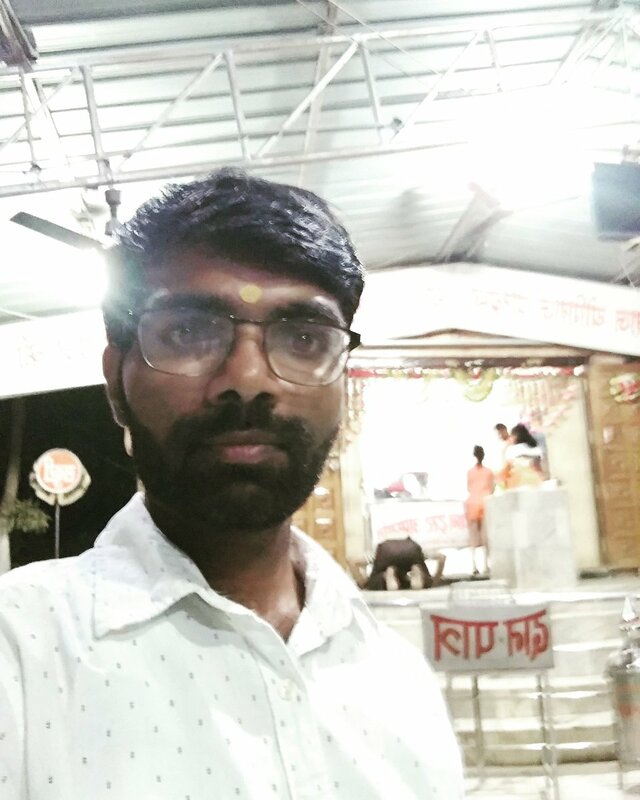 Thursday is special for me because I am a devotee of Saint Gajanan Maharaj, Saint Sai Baba, Goddess Lakshmi ji etc; but I am not talking about Thursday... Then?? Is there any festival today? No! There is no festival today!! Really?? I think the answer should be YES!! Yes!! Believe me, today is one of the biggest festivals in India... Though its 'not religious', it's 'constitutional' festival.. A festival which we celebrate once in every five year... It's a day for Phase II voting of Loksabha Elections 2019... This 18th April do cast your vote and do a duty of responsible citizen of the nation... 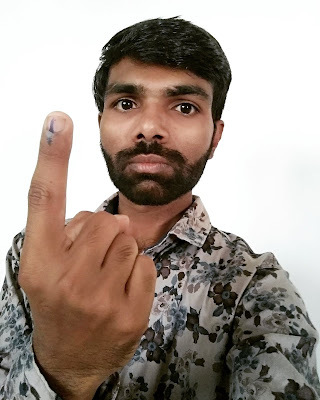 I have cast my vote in the first phase voting last week on 11 April 2019. So.. bye for now... Thank you once again for your wishes and don't forget to cast your vote for strengthening democracy...!!! My Resolutions for the year 2019..!! आणि शेवटी नववर्षाच्या, देतो मी सर्वांना शुभेच्छा!!! A Glance at Year 2018 in Flashback..!! The year 2018 is going to an end. It will never return again. We are lucky enough to witness this year. Today, before welcoming the new year 2019, Let's say Good Bye to the year 2018. I would like to thank 2018 for giving some happy memories. When I look in the flashback, I remember some memories of life from the calendar of 2018. Let me share those happy moments together with you...! I make RESOLUTIONS for the YEAR, Not for the Day! I remember we had celebrated the first day of 2018 with Pani Puri party and dance in our school. Our school had organized Bal Anand Mela in an annual function on 10th February 2018. After Bal Anand Mela we faced a storm in our nearby locations on the next day 11 February 2018. NOTE: This post is under updation and it will be updated soon...! Please have a patience and visit this page again. Thanks! तिच्यापुढे सारे काही फिके आहे. मात्र ती मला भाऊ मानत नाही. पण बहिण नसेल तर त्याला काहीच अर्थ नाही. बहिणच खंबीरपणे पाठिशी उभी राहते. बहिणीच्या प्रेमापुढे सगळे झुट आहे. तर तिच्यावर प्रेम करा... तिचा मान राखा. जसं उन्हाळ्याच्या कडक ऊन्हात पादत्राणांशिवाय रेतीवर चालणं अवघड आहे; त्याहीपेक्षा... जीवनात ताईविणा जीवन जगणं असह्य (अवघड) आहे. भावाचं जीवन ताईविना अधूरं आहे. बहिण नसल्याशिवाय बहिणीचे महत्त्व कळत नाही. "रक्षाबंधनाचा पवित्र भाऊ-बहिणीचा सण साजरा करणे कदाचित आमच्यासारख्या विना सख्ख्या बहिणीच्या भावाच्या नशिबातच नसावा..!" ये आँखे आज नम क्यूँ हैं? तो उससे जूदाई का ग़म क्यूँ हैं? Until you see her vaccant chair. आपण सर्वांना रक्षाबंधनाच्या हार्दिक शुभेच्छा...! तरी का मग शेतकरी फस्त आहे? की शेतकऱ्याची जिंदगी स्वस्त आहे? पण ऐकेल का कोणी इथे त्याची दारुण कथा? त्याचे कष्ट कसे दिसत नाही?